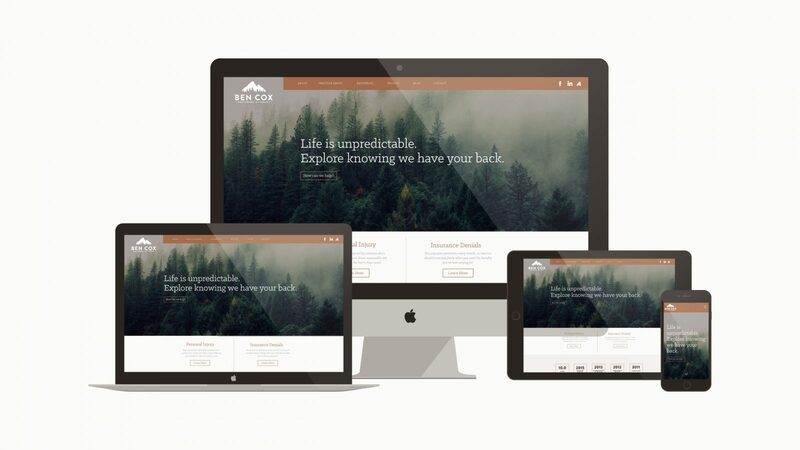 Ben Cox wanted a brand identity and website that set him apart from other law offices and spoke to his Pacific Northwest clientele. 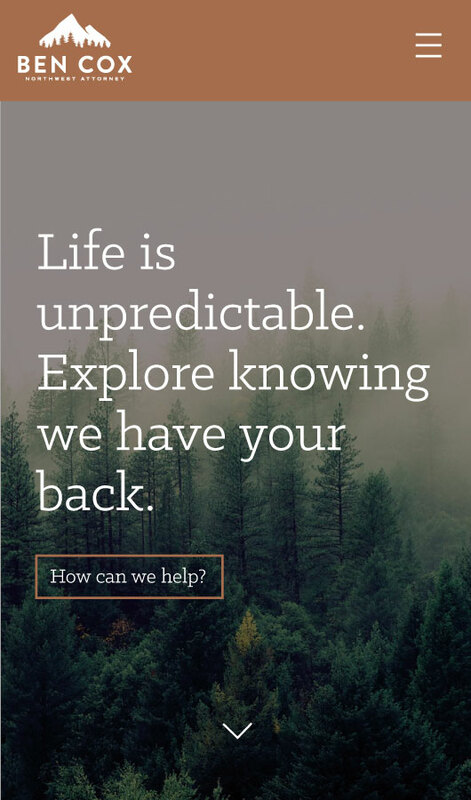 While some firms try to be everything to everyone, Ben Cox Law practice is tightly focused on serving seriously injured people and other victims of catastrophic loss or corporate wrongdoing. 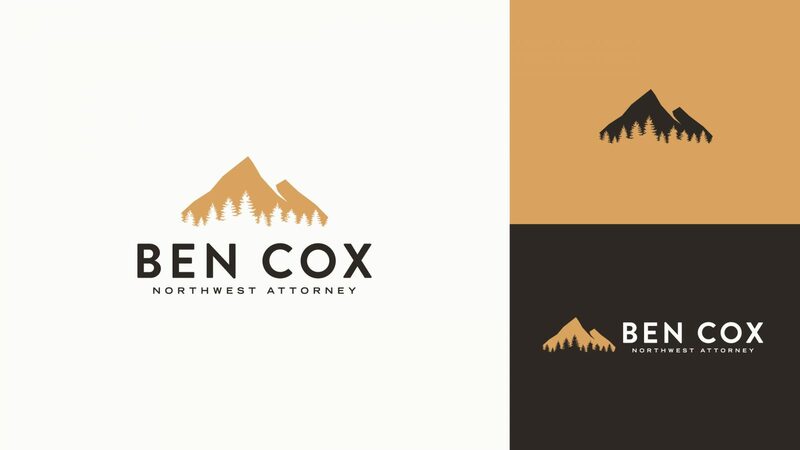 Ben Cox wanted to avoid all the cliches that are so prevalent in most law firms’ logos: columns, the scales of justice, Lady Justice, laurels, and gavels. 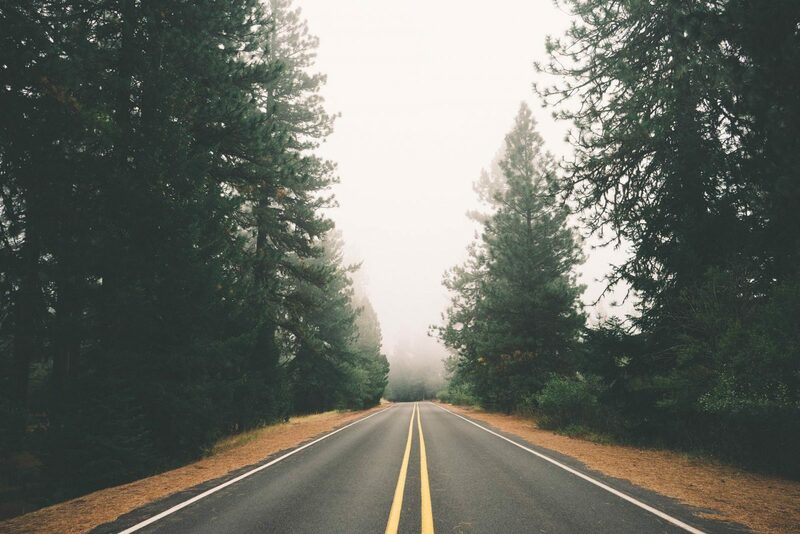 We set out to create something modern and simple that really embodied the tone of Ben’s practice. 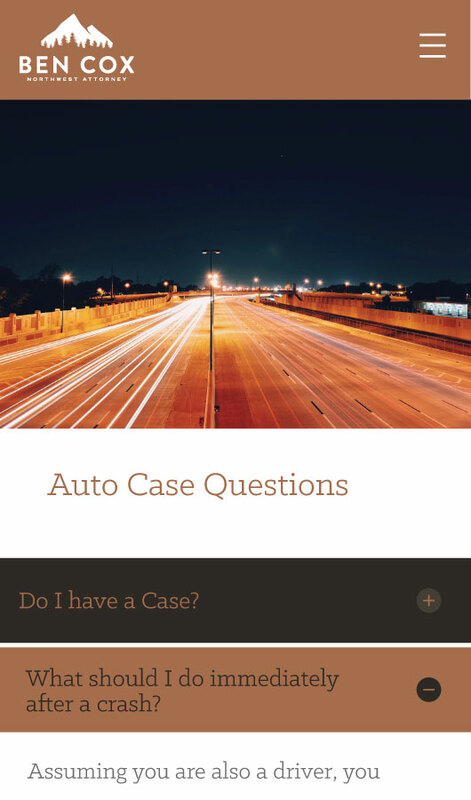 Ben is an experienced attorney with rock-solid service, advice, and results. Using the iconic Mt. Hood made sense as a symbol for the firm. 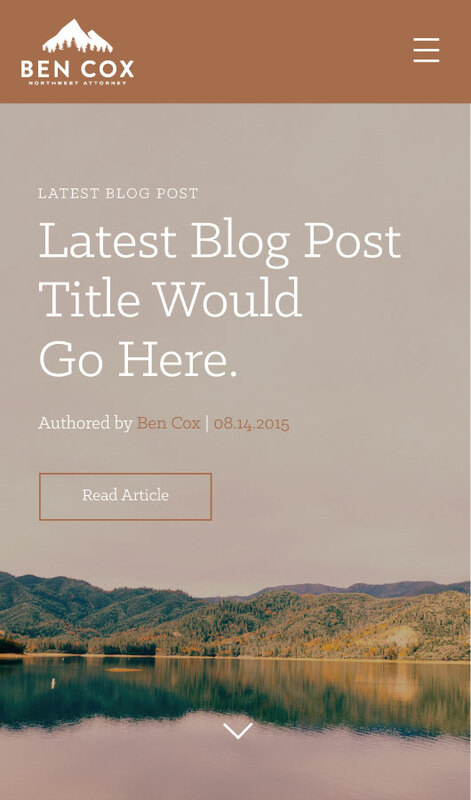 We designed a website for Ben Cox that is information-rich and easy to navigate. Ben’s clients can easily find information about the services he offers as well as reviews and relevant articles in just a few clicks.